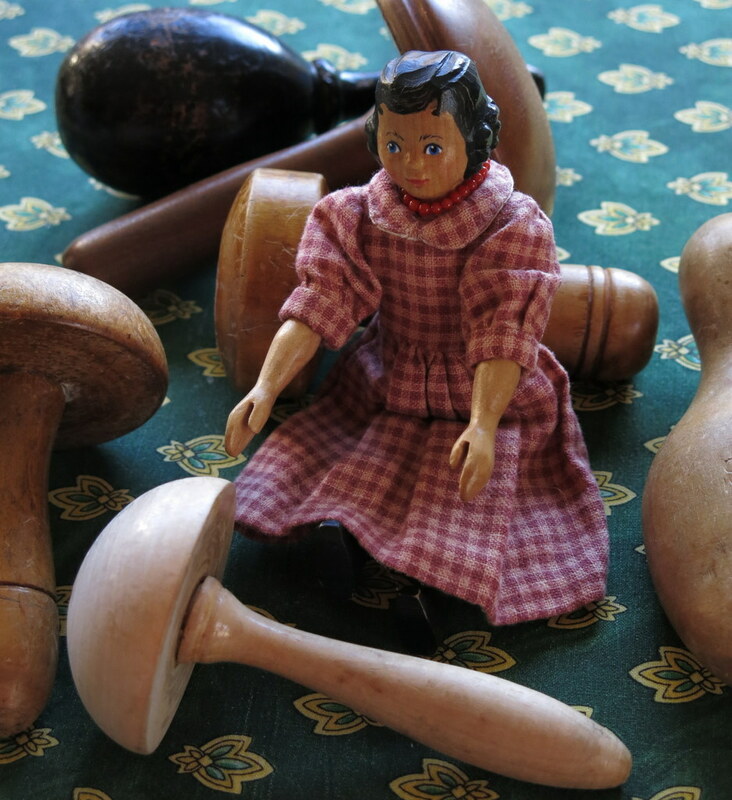 …and luckily we have a selection of darning eggs, and mushrooms. This one seems to be a cross between an egg and a mushroom! 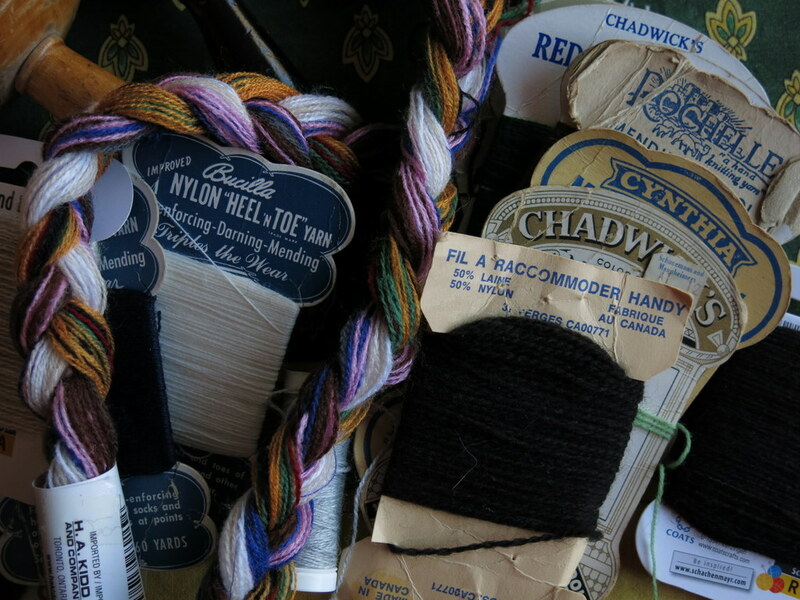 We also have a nice selection of Darning yarns, new and old. Rose decided to tackle the biggest job first! 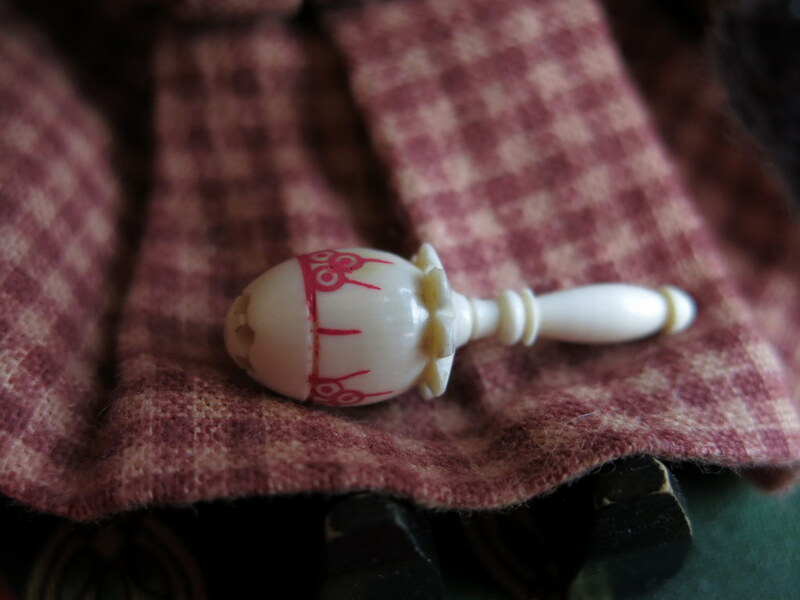 …but it makes a perfect little darning egg! 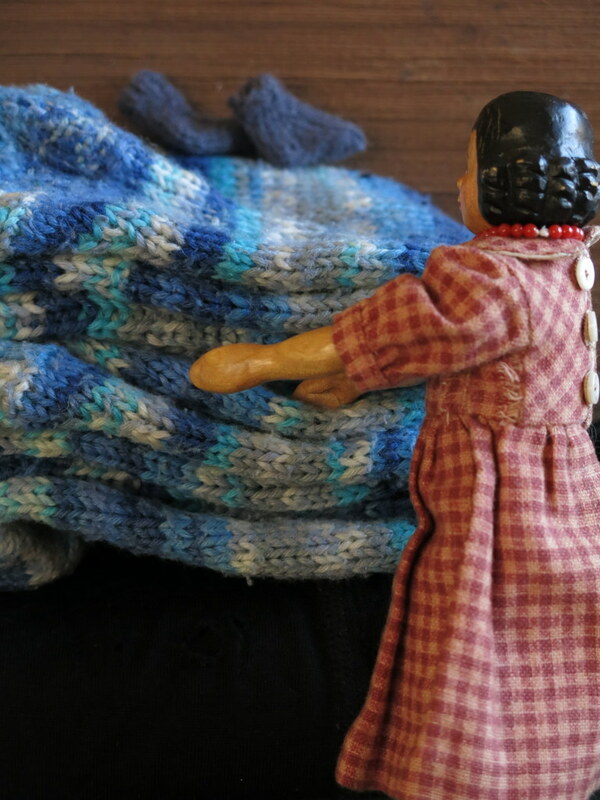 Quimper hittys will stay cozy warm in these pretty blue booties. Viola will be happy to get her socks back, that’s for sure! 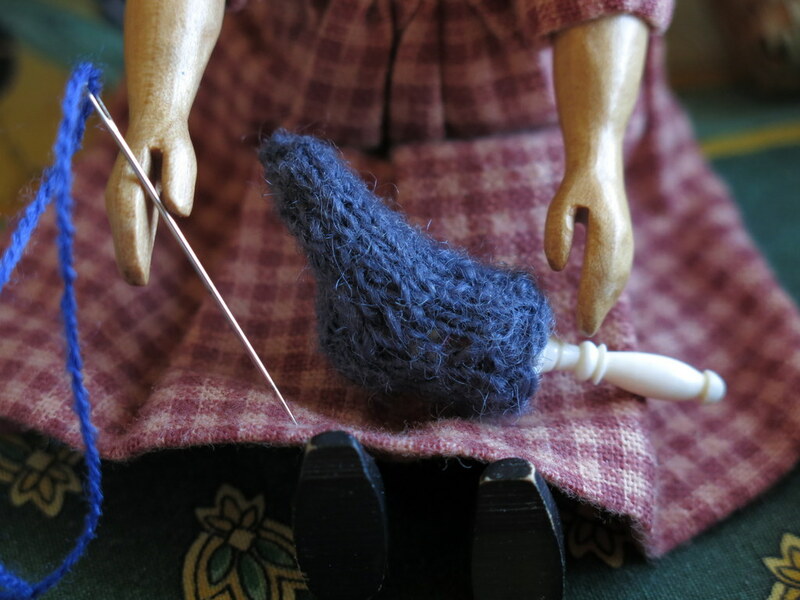 We like darning things to make them last longer – there is usually lots of life left in a sock or sweater, just a few stitches are usually needed. 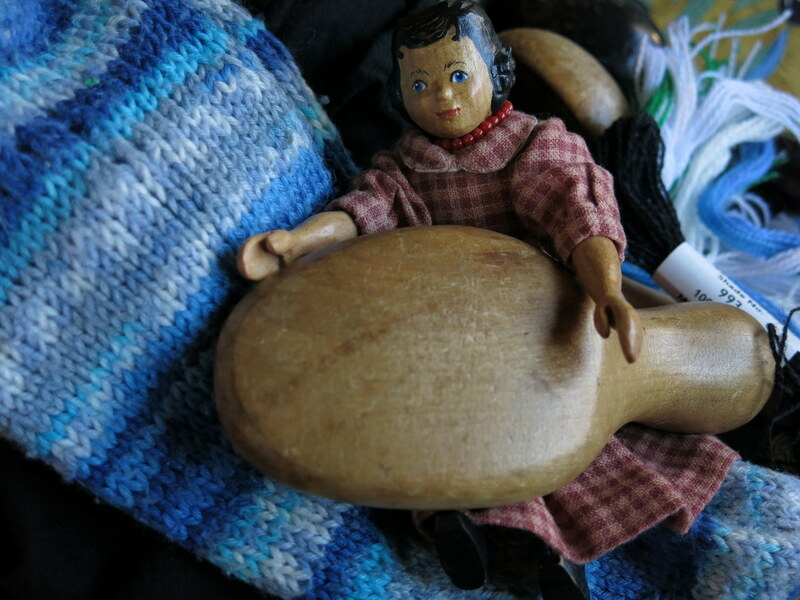 That tiny darning egg is just astounding!! Rose is such a master of the gentle arts. 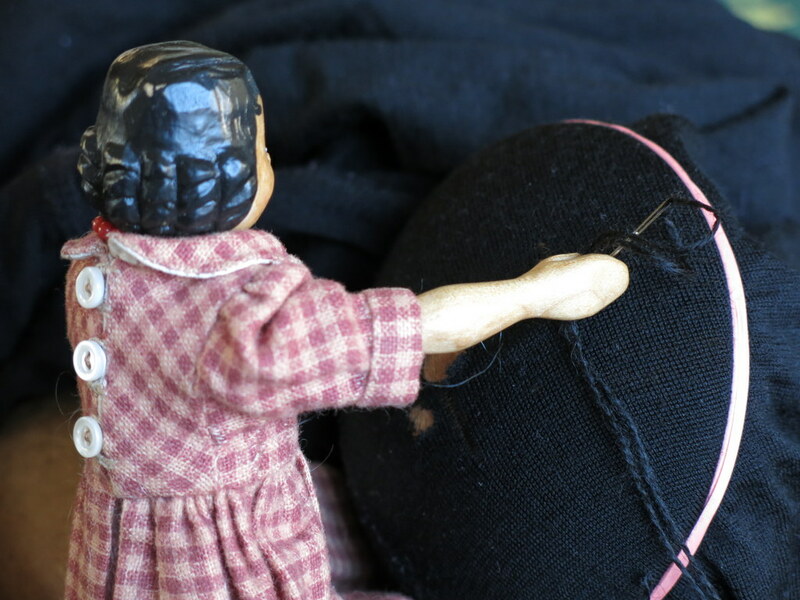 Mending is such a satisfying task… Charming photos as always. 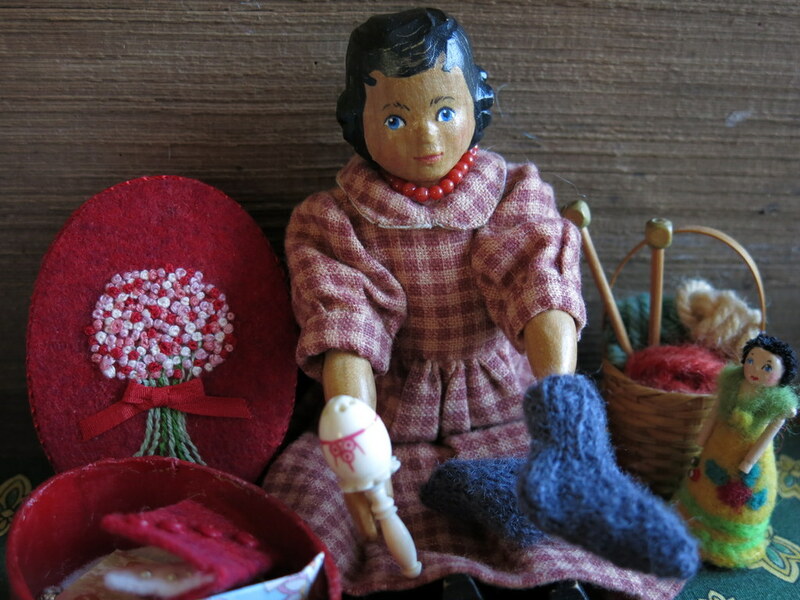 We find mending a satisfying task, definitely – Rose is glad of the little “egg” and also the beautiful basket of sewing materials you gave us!